Quinoa is my favorite grain! Good thing too as it is a very nourishing Powerfood. It is so good that I can eat all by itself without any vegetables and love every mouthful of this nutty flavoured grain. This grain comes from South America with it’s origins from the Inca civilization. For the Incas quinoa was such sacred crop and called it the “mother grain”. They grew it for its edible seeds, which provided warriors with stamina and quick recovery making it a truly ancient powerfood grain. It has a high protein content, higher than other grains. 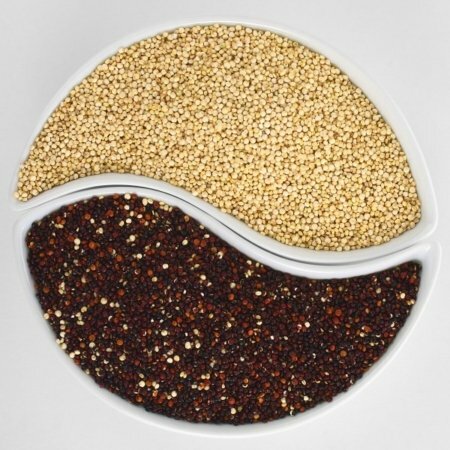 Quinoa has between 16.2% – 20% protein, while rice has 7.5%, millet 9.9% and wheat 14%. 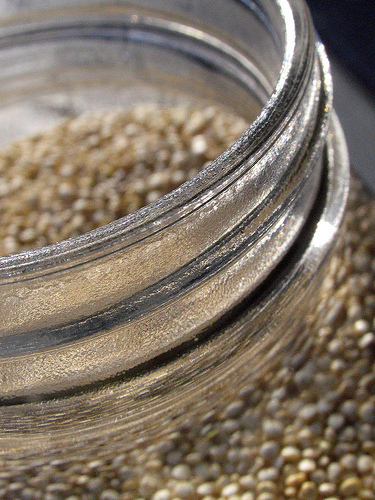 The protein quality is unusually high, making quinoa a complete protein. Its essential amino acid balance is similar to milk! It is a very good source of manganese. Is a good source of magnesium, iron, copper and phosphorus. It is a good source of riboflavin, which has been shown to help reduce the frequency of attacks in migraine sufferers, by improving the energy metabolism within the brain and muscle cells. I love the light flavorful of Quinoa; it is easy to digest and is not sticky or heavy like most other grains making it a wonderful summer grain. One caution: Although quinoa is not a commonly allergenic food and does not contain lots of purines; it does contain oxalates. This puts quinoa on the caution list for an oxalate-restricted diet. Recipe: Cooking Quinoa is easy.